To get to Dry Tortugas, assuming you don’t have your own boat or airplane, you can take the wonderful ferry Yankee Freedom III from Key West or fly with Key West Seaplane Adventures. I chose the ferry option myself, and the trip was a good one. Although we had some pretty rough seas on the day I went, this massive catamaran held her own out there. The trip included breakfast and lunch, coffee and fresh water all day, a guided tour of the fort and snorkel equipment. The fort itself is fascinating and really big. The water and beaches surrounding it, though, are the real draw. Crystal clear and the perfect shade of turquoise, it made me smile the whole time I was there. This is a popular trip, so be sure you book as far in advance as possible, especially if you want to camp out there. To find out more about this wonderful National Park, visit the National Park website HERE. 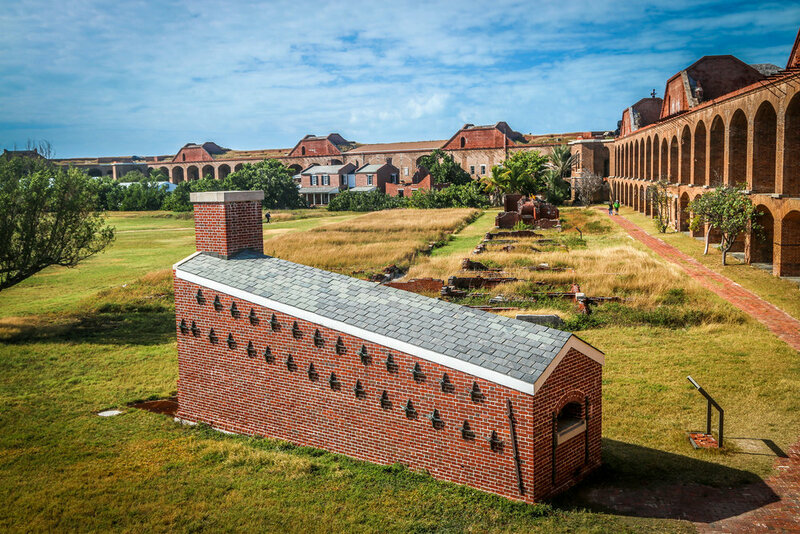 Dry Tortugas National Park is a truly magical place to visit. If you have a day to spare during your visit to Key West, I highly recommend this wonderful National Park. I really loved my visit there and I hope you enjoy the photos I took on my visit.